Congratulations on your new SERGER! 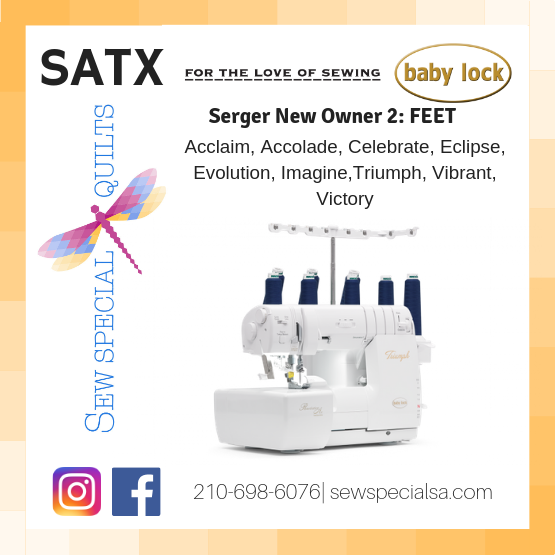 This class will teach you about the different feet you can use on your new serger to enhance its performance. Any extra feet you may have already purchased. FREE if your machine was purchased at Sew Special Quilts. If you did not purchase from us please call 210-698-6076 with payment.